Welcome to another Stamping Techniques To Try, blog hop. 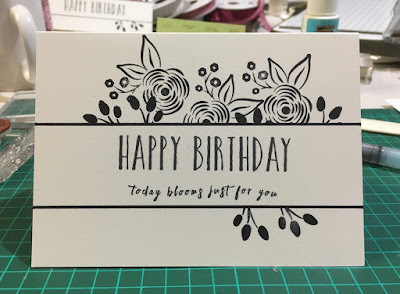 This month we are using the technique named Bordered Sentiments. It is a simple technique that will open up lots of possibilities for you whether you have a large collection of stamps or if you are just starting out. 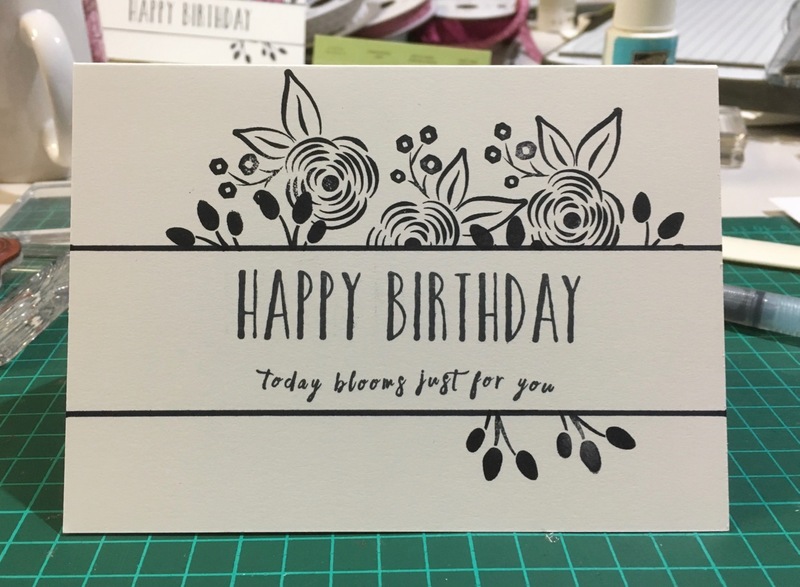 I started by ruling the black lines across the page, then I placed both greeting stamps onto the one block and stamped them together. Next step is to place a sticky note just inside the black line and stamp the images. 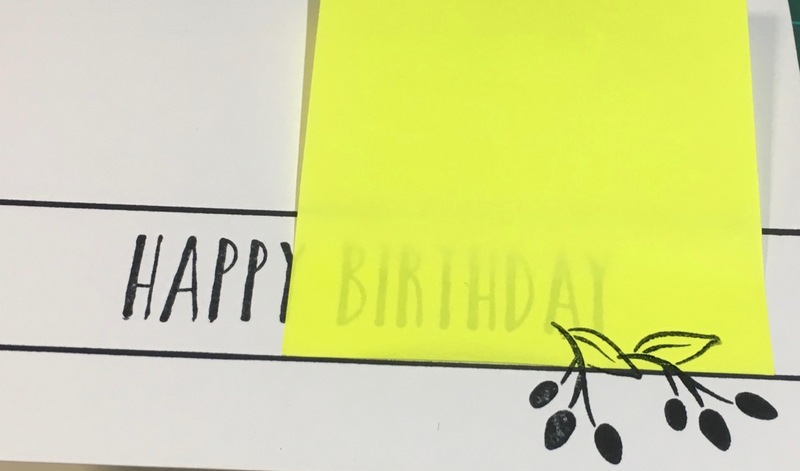 You can see how the sticky note masks part of the image. 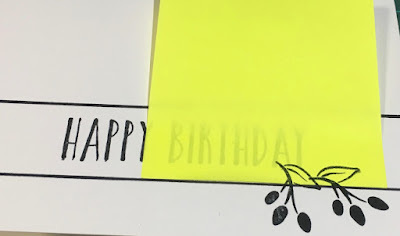 Repeat this step, moving the sticky note to achieve all the images you want so they appear to be coming from behind the greeting. 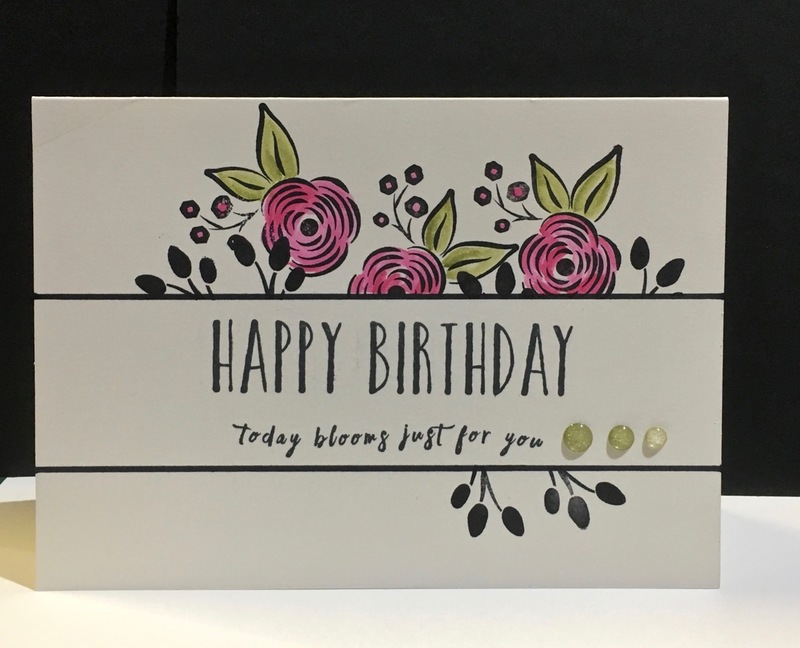 I love black and white cards, but this one called for a little colour and the quickest way for me to colour is to use my Aqua Painter and Stampin' Up! Classic Inks. So that's it! Quick, easy and effective. You can see what the other designers have created by following the links below. It is an exciting week for all Stampin' Up! fans as the new Annual Catalogue has launched. It is delicious and you can view it on-line if you don't already have a hard copy.